All children have different needs, respond to different stimuli, and learn in different ways. Unlike many other after-school programs that scale down activities for typically developing children, The Manhattan Behavioral Center builds each enrichment class from the ground up, creating exclusively individually tailored programs. We offer 2:1 and 1:1 support to give all children with special needs the opportunity to participate in non-competitive, skill expanding and fun activities in a small group setting. Our classes are led by highly trained and enthusiastic staff who have expertise in each activity. 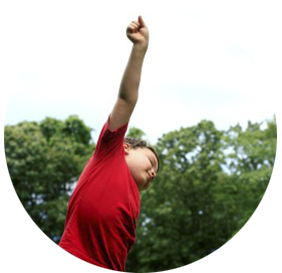 Let The Manhattan Behavioral Center help your child develop flexibility, structure and coordination for a happy, balanced and healthy lifestyle with our new Enrichment Classes! Ms. Dolores comes to MBC with a Masters in Art Therapy from New York University. Our art therapy class promotes a comfortable, supportive, and creative environment in which functional, sensory, and social experiences may be safely explored. “Art therapy provides real relief; a visual tool for communication, a window to the imagination, and a motivation to make connections.” Nicole Martin, ATR. Dolores is also available for 1:1 art therapy sessions. Please contact MBC for more information. 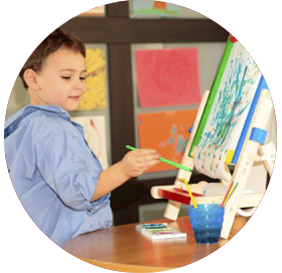 This class utilizes the principles of Art therapy to foster connections and experiences between siblings and develops supportive relationships and coping skills. Our Picasso Parents class invites parents to join us with their special needs child and discover a new way of relating and fostering your relationship with your child. Our Music Director Roaine Fine holds a Bachelor of Science degree in General and Special Education as well as a Masters of Arts in Music Education. Her role is to immerse your child in music whether that is singing along, dancing or beginning to learn a new instrument. 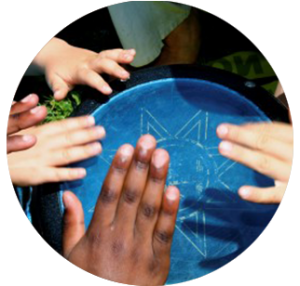 Through music, students will follow group directions and work on interpersonal skills. Roaine is also available to 1:1 music and piano lessons. Please contact MBC for more information. Mr. Nick’s boundless energy and extensive experience teaching sports to individuals with disabilities makes this one heart pumping and fun class! Each semester our enthusiastic therapists will teach your child a new sport ranging from kickball to basketball. Our goal is to build gross motor skills and physical endurance all while having fun with friends! Call MBC to find out which sport we are offering next semester. 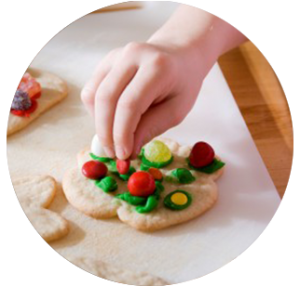 This once a week class is led by Nicole Herz MSED, BCBA whose expertise working with individuals with special needs along with her love of cooking frames this delicious class! Have your child join us on our weekly trip to the grocery store where we buy the ingredients for that day’s no-bake recipe. Community outings, cooking and fun all wrapped into one! In collaboration with Lil Yogi’s NYC, The Manhattan Behavioral Center is excited to introduce our first Yoga Enrichment Class. 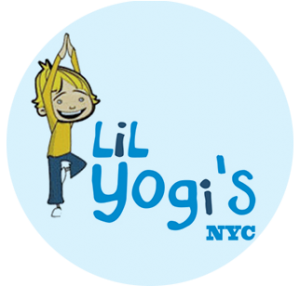 Lil Yogi’s NYC is an up and coming yoga program specializing in bringing yoga to children with special needs. Classes will introduce students to a plethora of poses through songs, imaginative play, games and stories. Classes are educational, innovative and fun! Lil Yogi’s instructors Rachel and Samara have experience working with children of all ability and will be supported by the highly trained and experienced MBC staff. MBC is excited to be collaborating with the Fred Astaire Dance Group, bringing dance therapy to children with Special Needs! Their goal is to introduce movement, creative dance, and music in a safe, stable environment for children with autism and other developmental disabilities, providing an atmosphere where children can utilize movement as a form of self expression. Their qualified and trained staff work hand in hand with MBC instructors to help guide the children into a nonjudgmental world of self-expression and creativity.